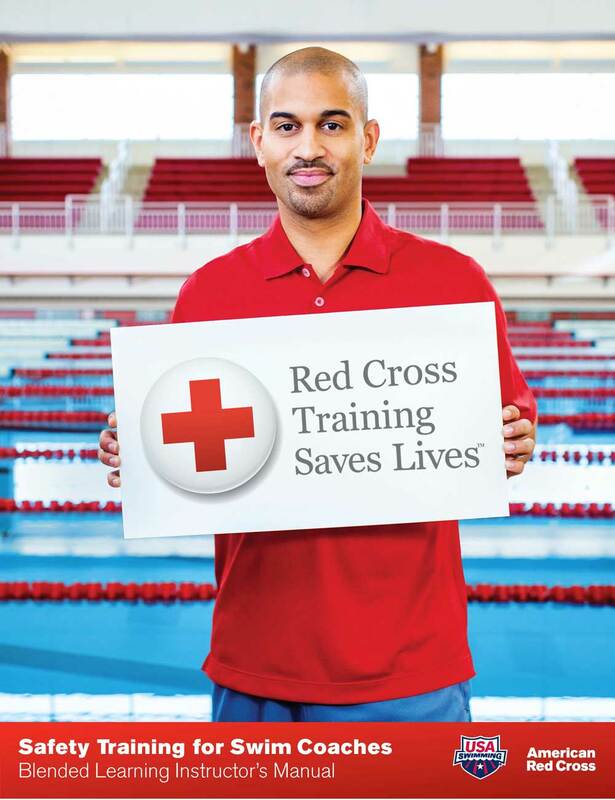 American Red Cross Safety Training for Swim Coaches, developed in partnership with USA Swimming, is intended to teach those involved in competitive swimming how to help maintain a comfortable and safe environment for swimmers; prevent accidents and emergencies; and respond to swimmers with illnesses or injuries in water or on land. This course meets the requirements for USA Swimming and YMCA affiliated coaches. This is a blended learning course with a 3 hour online session and a skill-based pool/class session of up to 3 hours. Class Transfers – The class transfer fee is $25 and registered participants are required to submit a Transfer Request online at least 48 hours prior to the original class date. Training must be completed within 60 days of the original class date.